Event and Theatre Lighting: How Can You Improve Your Stage Performance? 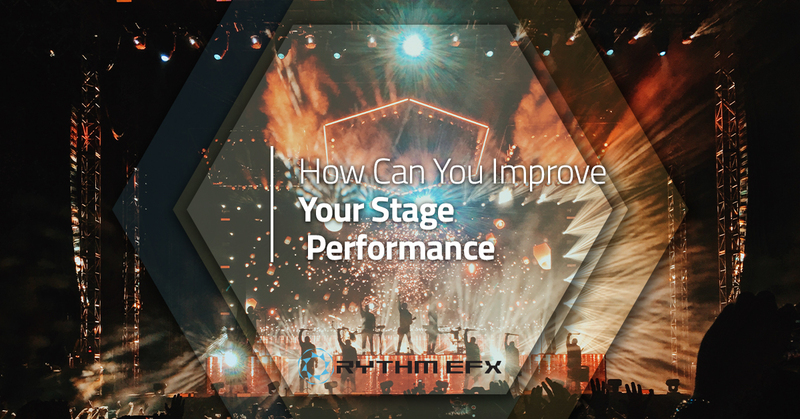 How Can You Improve Your Stage Performance? Anyone that has seen a performance or that has participated in the production of a theater performance will know that a show is made up of more than just the performers. The set, the crew, the music, and the lighting all play their own role in the complete production of a show. Because so much can be involved in the production of a theater production, you want to ensure you have a talented crew, quality effects, and a stunning set display. Rythm EFX is a special effects company that can offer all of these things and so much more. Our company works diligently to provide your production quality props, backdrops, and even stage lighting design. Because we can wear so many hats when it comes to production management, we are your ideal choice for a special effects company. Stage lighting is one of the most important effects of any stage performance. Without it, your production would not be able to be visibly seen! That means all your hard work to put on a convincing performance would be for nothing! Not only is stage lighting design vital to seeing the performance, but it can be a poignant tool to demonstrate emotion or a build up of action in your performance. Without lighting effects, you may not be fully able to present certain emotions, such as fear, suspense, anger, love, the list goes on! At Rythm EFX, we have professional stage lighting managers that can help not only supply your performance with high-power lights, but use them to correspond to your performance. This way, you not only gain quality lighting but a crew that can use the equipment effectively for the sake of your production. Aside from the importance of lighting, some performances need props to convey a change of scenery or even what actions are taking place in the performance. For instance, props can be anything from small pieces, like a telephone or a spyglass to an entire house. Props can range to almost any object that is used in the show to help the audience interpret the performance in better ways. Stage props can be any size and can even be moveable. For example, rolling props are typically large set pieces, such as fake houses, buildings, or trees that can be wheeled onto the stage. Rythm EFX can construct stage props for your production, no matter the size. Over the years, we have had the pleasure of constructing a wide range of props big and small. Whether they need to mobile props to help the setting of your play or performance, or perhaps they need to be smaller portable items, we can help! Stage drops are responsible for setting a scene. For instance, you may have noticed that when you view a show, you aren’t looking at the complex network of wires, lights, and equipment on the stage. Instead, you may see a beautifully designed sheet backdrop to illustrate the setting of a scene. Most of these backdrops you see are retractable and are pulled upward and out of sight. What is most challenging about these types of backdrops is that you have to paint or digitally design them to scale. Because most stages are very large and wide, you will have to make a backdrop that covers the entire back part of the stage. Special effects, like lighting, can be an essential piece to demonstrate emotions and add a special feature to your performance. For instance, if you would like to convey mystery or evil, a fog machine is ideal. We have so many special effects that you can use as a powerful tool to entertain and dazzle your audience. Rythm EFX has a wide collection of different effects to look at. If you are interested in viewing our different effects, click here. A show is only as good as its crew. It takes a group of people to manage the stage, make sure lighting in on cue, actors are on their marks, and props are pre-set before a scene. Without a crew, there would be no show. Because of this fact, in order to ensure that the show goes over smoothly, you will need a vigilant, precise, and coordinated crew. Luckily for you, Rythm EFX is sort of its own little crew company! We can not only give you the special effects you need to rent for your show, but we can also help you use the equipment. As your local Denver special effects company, Rythm EFX is proud to serve the residents of Denver and the surrounding Colorado areas. With our equipment and expertise, any performance can be amplified to a new level of entertainment. Contact us today for more information about our services. And, if you would like to see all the effects we offer, visit our website. Contact Rythm EFX today!